The Linden Athletic Boosters Club is a charitable, non-profit organization, founded in 1961 whose purpose is to provide the financial backing for the advancement and needs to keep Linden High School Athletic programs and Linden Community Youth Sport programs active, viable and successful; to encourage enthusiastic support and interest in Linden High Athletics & Linden Community Youth Sports; to award scholarships which contribute to the post-secondary education of graduating Linden High athletes; aid in the support of the Linden Athletic Hall of Fame; and to lend support to the Linden High School Athletic Director and Coaches. We achieve these goals by organizing events, fundraisers, projects, and assist in building the pride and spirit in all Linden Athletic Programs. 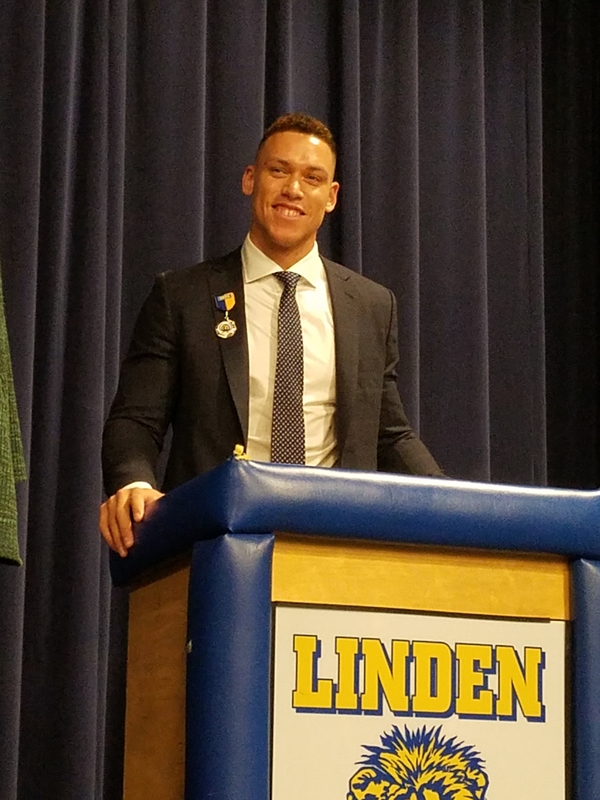 On January 12, 2019 Aaron Judge was inducted into the Linden Athletic Hall of Fame. 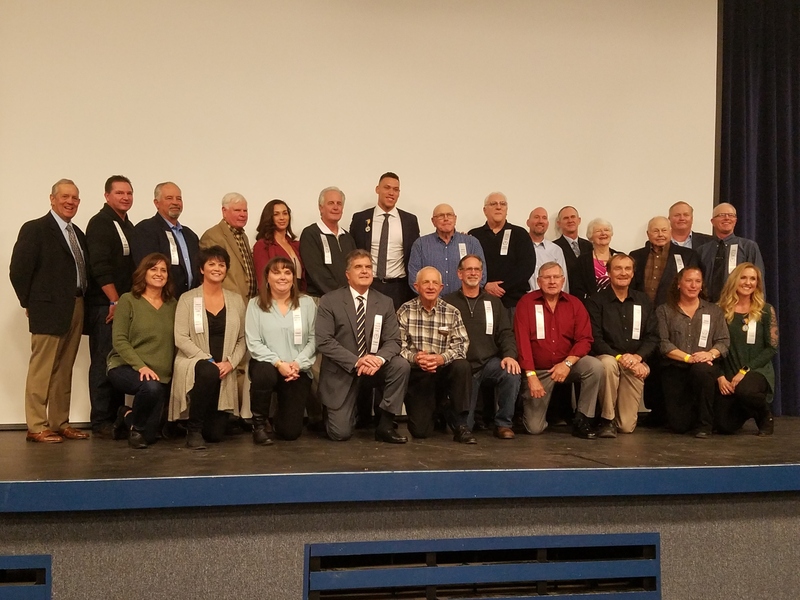 He was the lone inductee at the 9th induction ceremony for his accomplishments and contributions in athletics at Linden High School, Fresno State University and the New York Yankees. It was a great celebration for both Aaron and the community of Linden. Thank you to the Linden Athletic Hall of Fame committee for all the work you do to create such a memorable evening. The Oakland A's has offered the Linden Athletic Boosters Club discounted group tickets for just $39 to see Linden's own Aaron Judge and the Yankees take on the A's. Seats available to our group right now are in section 104, right by Aaron in Right Field. Presently we have 100 seats on hold, but can add more if needed and are still available. So act fast if you are interested. Sorry we can't organize a bus trip for the game this year.....but it is free parking on Tuesday ! **This is not a fundraiser for our organization, we are just passing on the opportunity for you to purchase discounted group tickets. 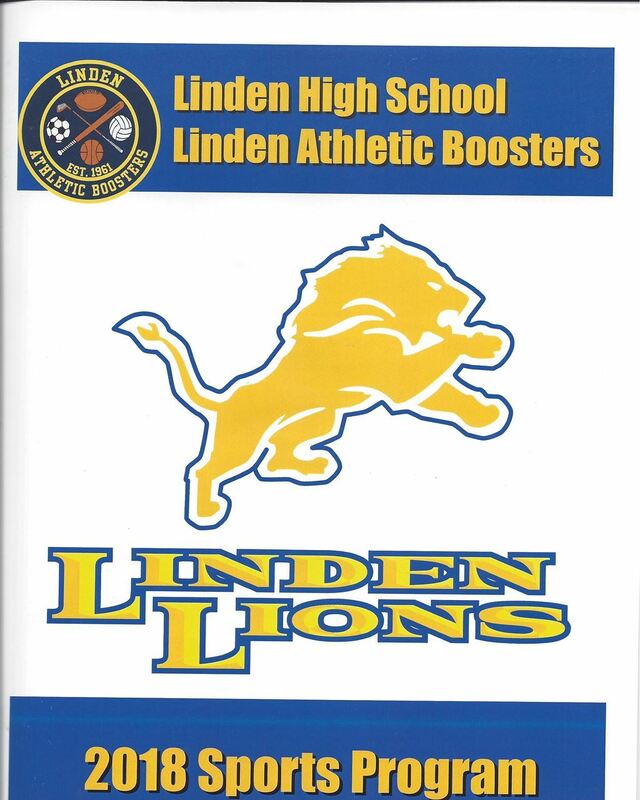 Thanks again for your support of the Linden Athletic Boosters Club....GO LIONS!!! Copyright © 2018 Linden Athletic Boosters Club - All Rights Reserved.